Liteline's track fixtures are constructed of die-cast aluminum, which provides superior strength and rigidity. The design is modern, with the softened edges adding to the contemporary aesthetic. With a myriad of styles and finishes to choose from, you'll definitely find a fixture for every application. The ATHENA is an adjustable, lightweight, line voltage track fixture with rear load bulbing and an exposed bulb design. The porcelain socket is designed for 120V PAR20 bulbs (50W max). A high temperature glass shield is included, mounted to the front of the fixture. The fixture can be rotated vertically up to 90 degrees and horizontally up to 330 degrees, providing a wide range of light source aiming possibilities. 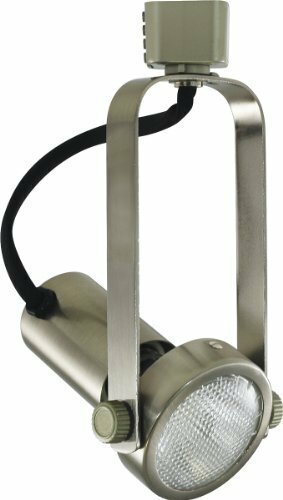 This track fixture is dimmable when used with electronic low voltage rated dimming controls only.